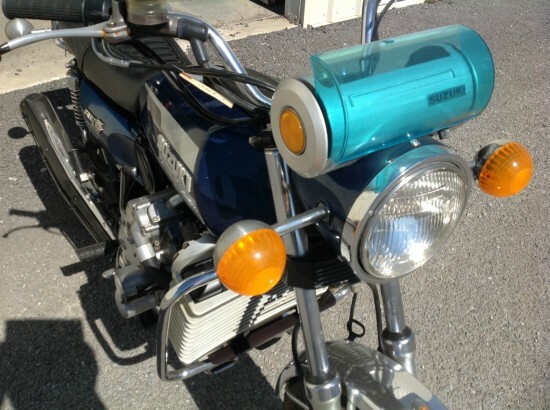 Two interesting rotary-powered motorcycles in one week! Back in the early 1970’s, it seemed like everyone was researching rotary engines, the “engine of tomorrow”. And you can see the appeal: the engineering of Felix Wankel’s brainchild was elegant and very futuristic. Made between 1974 and 1977, the Re5 was designed as a sport-touring motorcycle with very space-age styling and specifications, sort of a Bike of the Future. 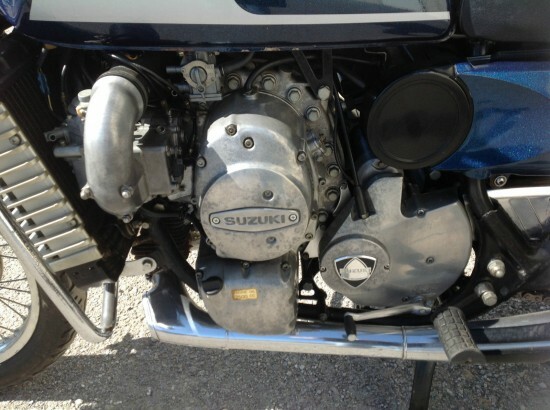 Suzuki chose a 497cc displacement for their machine, although the relative “displacements” of rotary engines are difficult to really compare directly with their traditional counterparts. The bike naturally had a very smooth, torquey character, and testers felt the handling was nearly up to European standards. 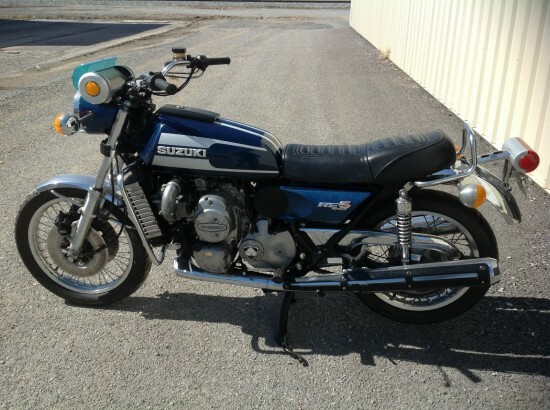 Interestingly, the bike returned surprisingly reasonable fuel mileage, usually a rotary’s weak point. But while the rotary engine itself is very simple in theory, the Suzuki Re5 featured a complex cooling system with three separate oil tanks for the sump, gearbox, and a total-loss tank. The engine was fitted with two oil pumps, one of which was dedicated to mixing oil from the total-loss tank into the fuel to aid in rotor-tip lubrication and was actuated by the throttle twistgrip. This machine is a decent original example of an M model Re5. It will need a complete service as it has been stored, properly for a number of years. I would consider this bike a solid 7 on a scale of 1-10. A compression test has been performed and the engine is within acceptable standards per the factory. A complete service includes, but is not limited to servicing front hydraulic brake system. Performing a tune up, timing, oil change, battery etc. Replacing tires that may be dry rotted or past safe service life. This bike is complete and very original. It will make someone a nice rider or display piece. The video in this clip below is a bit jerky, but it should give you a great idea of the unusual, fizzy sound the bike makes. And watching the tach, it’s pretty clear the rotary doesn’t mind having its neck wrung. 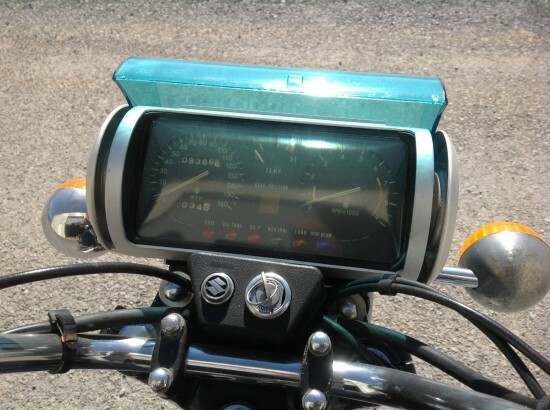 In spite of all the financial and manufacturing muscle put behind the development of rotary-powered motorcycles, it’s pretty clear that the layout was more of a novelty than a real advantage: the simplicity of the engine itself gets lost in the complexity of the carburetor, oiling, and cooling systems required. 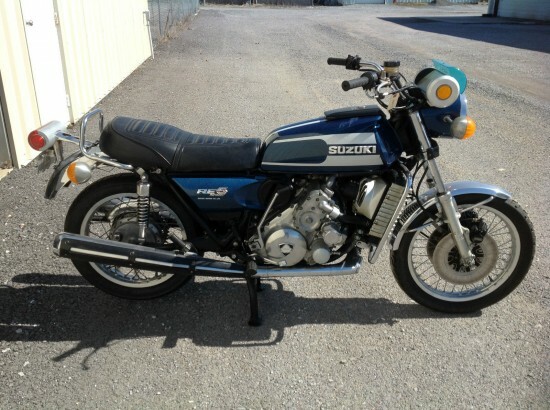 Even though the Re5 was a more successful motorcycle than the Hercules featured earlier this week and had the manufacturing power of Suzuki behind it, it was still basically a footnote, with only about 6,000 built. Bidding is just north of $4,000 as I post this. The chief selling point of these, aside from that gloriously wild dash, is the novelty of that engine. But really, what other reasons would you need? 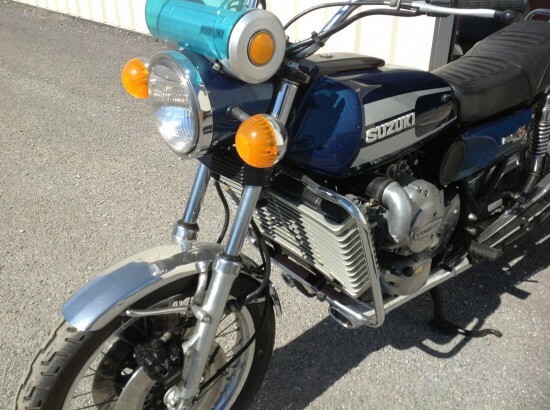 Previous story 1978 Hercules W-2000 Wankel With 3 Miles for Sale!